According to the NGO Asl-Al Yahud, a Council for Jewish rights has been established in Kurdistan, the Kurdish regional government announced on 13 October 2015. The objective of the new council is to preserve the rights of Kurdish Jews in the territory, although they will not be represented in the Kurdish parliament. It is estimated that there are nearly such 430 families. The Council will undertake projects to rebuild synagogues with the support of the government of the territory. The Kurdish authorities see this initiative as furthering peaceful coexistence between communities and ethnic groups. 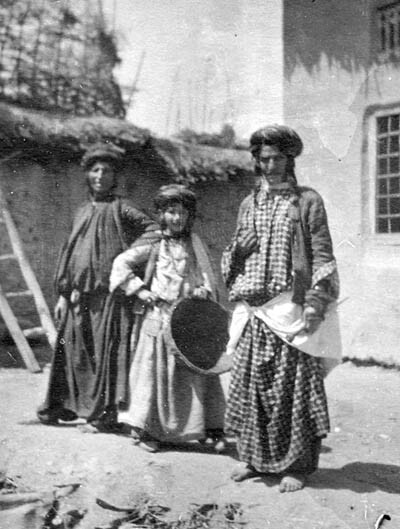 They maintain that there were "long periods in history when Kurdish Jews lived peacefully and harmoniously among different ethnicities and religions, bound together by love under one name". The initiative seems to follow the release of a report on 8 October by the Middle East Research Institute recommending better ethnic and religious representation in Kurdistan. My comment: As almost all the 18, 000-member Jewish community was airlifted to Israel from Kurdistan in 1950 it is a mystery how 430 Jewish families might still be living in Kurdistan. There is certainly no organised Jewish community today. This article puts forward the theory that thousands of Jews converted to Islam rather than move to Israel. These 430 families might be of mixed Muslim-Jewish ancestry. With the US invasion of Iraq in 2003, some of these families asked to emigrate to Israel. (Some have since moved back to Kurdistan). Anecdotal evidence seems to suggest, however, that many thousands of Jews converted to Islam well before the creation of Israel. They are called Ben -Ju: Muslims with Jewish roots.